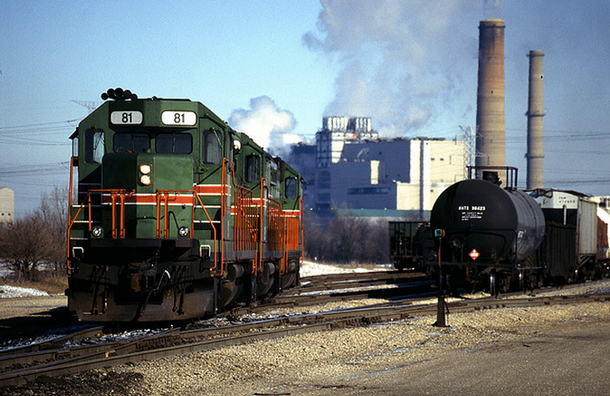 Trains sit at the south end of the yard in Powerton, Ill., near the power plant. Powerton's coal plant was the second biggest greenhouse gas emitter in Illinois, according to EPA data. 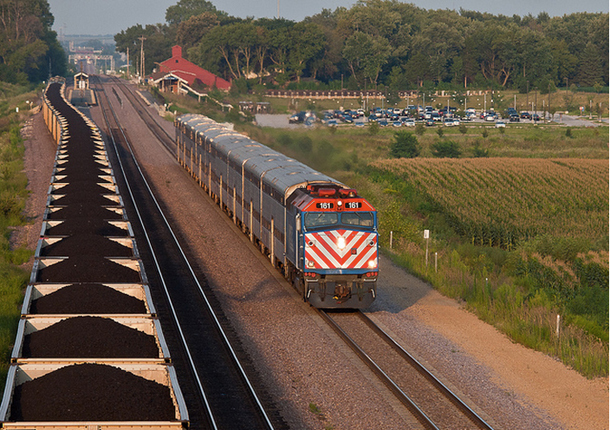 A CWEX coal train, left, stretches into the distance near the La Fox Metra station in Kane County. It’s something environmental groups and climate hawks have increased calls for since the President won reelection in a race that, it should be noted, avoided explicit mention of the issue for the first time since 1988. It’s also likely to further polarize Republican lawmakers and carbon-intensive industries, who will probably mount legal challenges. Electricity generation accounts for roughly a third of U.S. greenhouse gas emissions, according to the Environmental Protection Agency. So if Obama wants to circumvent the currently deadlocked legislative path to reining in carbon dioxide emissions, tackling existing power plants is a good place to start. As for the Chicago region’s biggest emitters, Chicagoist&apos;s Josh Mogerman has a good round-up here. In the absence of comprehensive climate legislation, environmentalists have made their most visible cause stopping the Keystone XL pipeline — an issue that has split the President&apos;s own policy group, Organizing for Action. Next month’s expected action could help mend the rift, or widen it further.